1) Duration and method of data entry. During testing, you need to measure the time needed to enter the data for several orders. It should not be an arbitrary set of parts, but real orders from your production line. Compare the resulting time for competing software. If the difference is a few minutes for one order, you will save dozens of hours over a month. All data must be entered from the keyboard and without raising the hand holding the mouse. If you need to move your hand from the mouse to the keyboard and back, you will be wasting your time. When a part is added to the order list, this part should inherit the properties of the previous one. This will considerably speed up data entry – you will only need to modify certain part properties and not enter the same values again. Part numbers should support manual entry of characters and numbers, and should be generated automatically. For instance, some software do not allow entering part numbers and parts are numbered automatically – 1, 2, 3…etc. This can be a serious problem is the naming system used in your project implies the use of characters and numbers in part numbers. If a previous part’s number is 1-Е500-01, for example, a user-friendly software will automatically name the next one 1-Е500-02. The software should allow you to use typical part sets when creating an order. For instance, if you manufacture standard parts, you can enter their parameters in advance and create a library for future use. That is, instead of entering and checking a list of parts for a nesting task for 15-20 minutes, you simply choose parts from a library and specify the necessary number. Time spent on nesting calculation. 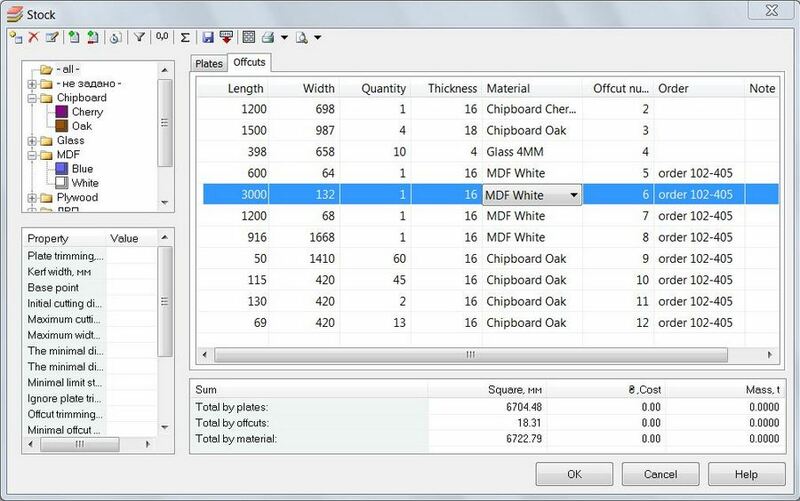 We know an example of a software that produces excellent results in terms of nesting quality and use of materials, but takes several minutes to calculate an order with just 20 parts. So how will it work with a real order? What if there are 100, 200 parts in it? The calculation time will increase exponentially. In real life, you cannot afford spending several hours on nesting calculations for a regular order. Nesting layouts must be created with a minimal number of operations. Technological loss of time on the shop floor – due to bar creasing, moving the stopper, etc. – may turn out to be quite expensive and be too much for winning a few square meters of materials. We believe that a nesting software must have layout editing features. You should be able to manually modify layouts generated by the software, if necessary. You may well save an ample amount of usable material just by turning a single part differently. Automatically calculate offcuts on nesting layouts. Allow you to manually edit offcuts on nesting layouts. Move offcuts to the warehouse, ensure convenient warehouse inventory management and suffiсient informativity – reports, labels, etc. Nest offcuts in future orders. Part labeling in woodworking is performed by printing labels on a regular printer or a special industrial label printer. 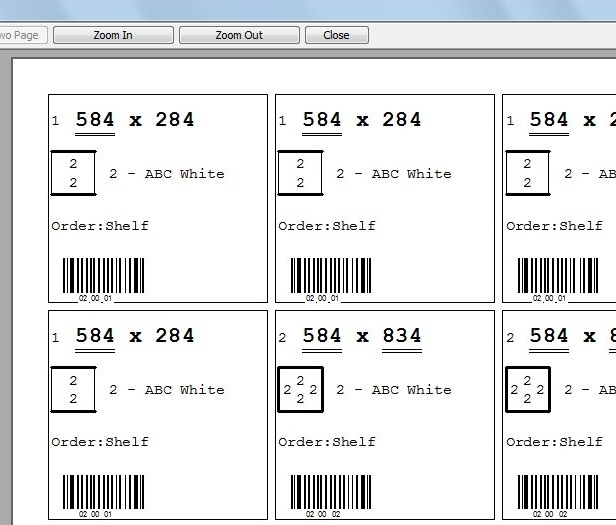 Labels facilitate part identification during sorting and, therefore, improve performance. 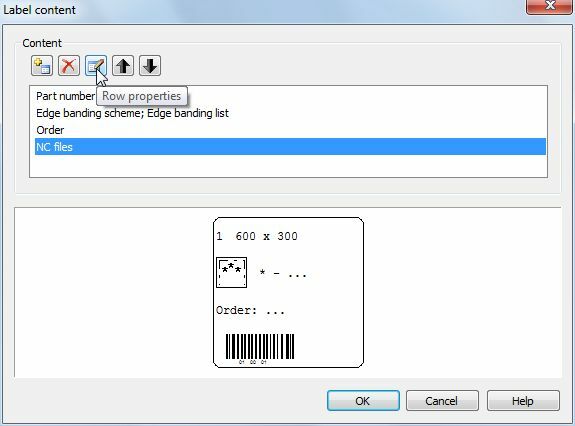 A nesting software must allow the user to configure the label and its properties: size, number of labels on the page located vertically and horizontally, margin size, horizontal and vertical padding. 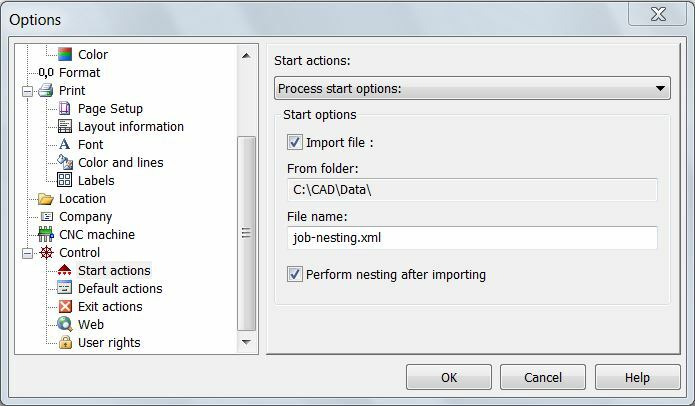 A nesting software must have an interface for any external CAD or management system for importing orders, launching software with command line parameters, managing software with passed parameters, and exporting nesting results back to external software. This is a must-have function for a nesting software. The edge processing scheme should be printed on labels – this simplifies and accelerates the process of further part processing and sorting. Setting the kerf width with the necessary accuracy (1-2 decimal places). Setting an arbitrary base point for a layout: lower left corner, top left corner of a sheet, etc. Setting the initial cutting direction: X-direction, Y-direction or Both. Setting the maximum kerf length. Support of CNC enabled equipment. 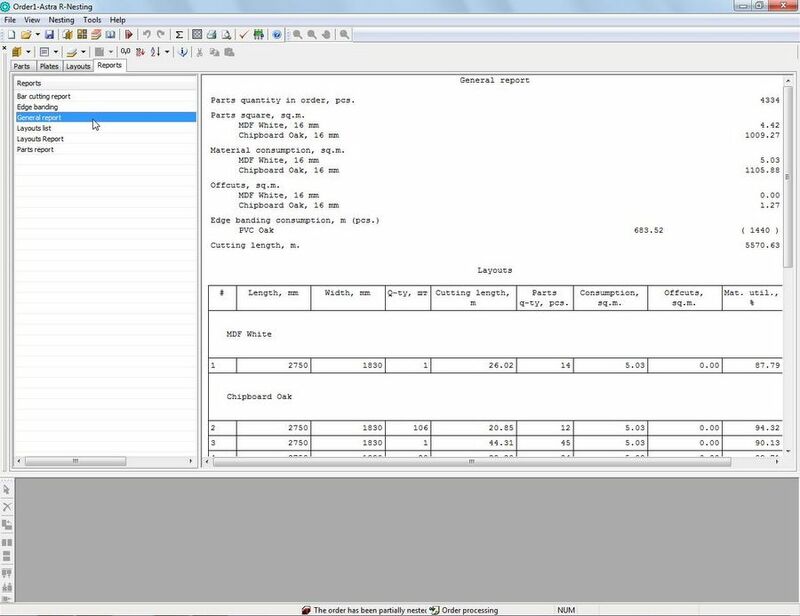 A good nesting software is capable of printing reports for all order elements: specification for part edge processing and facing, cost of work and materials, layouts, warehouse status. It should enable the user to configure the scope and appearance of reports. Guaranteed technical support is a matter of business stability and reliability. Pay attention to this aspect and contact the developers without hesitation, ask and even advise them on how to make the software better. A good technical support service will appreciate that, since your recommendations and feature suggestions are what we use to improve the software. Summing up, we will once again focus on the main thing – test your nesting software with a timer in your hand in a real production environment and do as much as you can: from data entry to cutting out parts on the shop floor. If the demo version of the software that you downloaded from the developer’s site does not have such features, treat this developer with caution. Good features are rarely hidden, but bad things are. 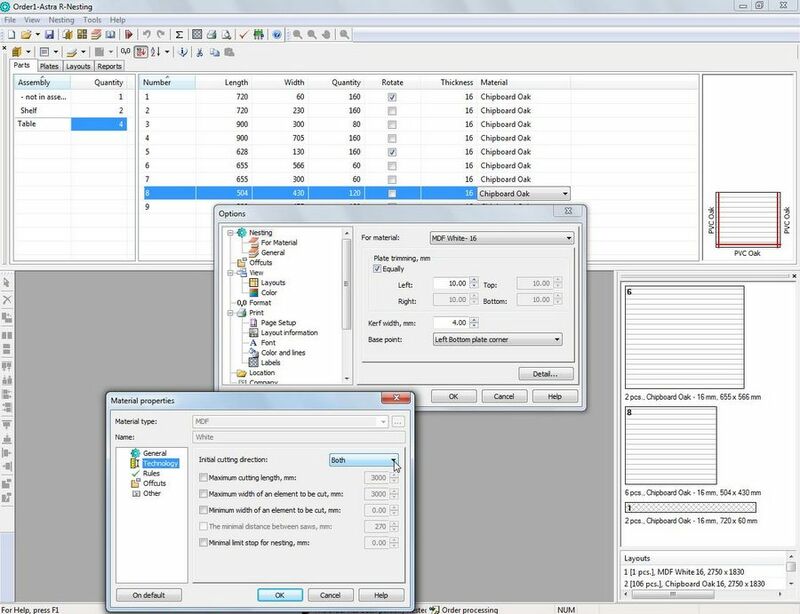 If the demo version limits the number of parts you can enter, if it limits the number of materials you can use, if it doesn’t let you generate all types of reports – it should alert you. Choose a nesting software that works best for you!